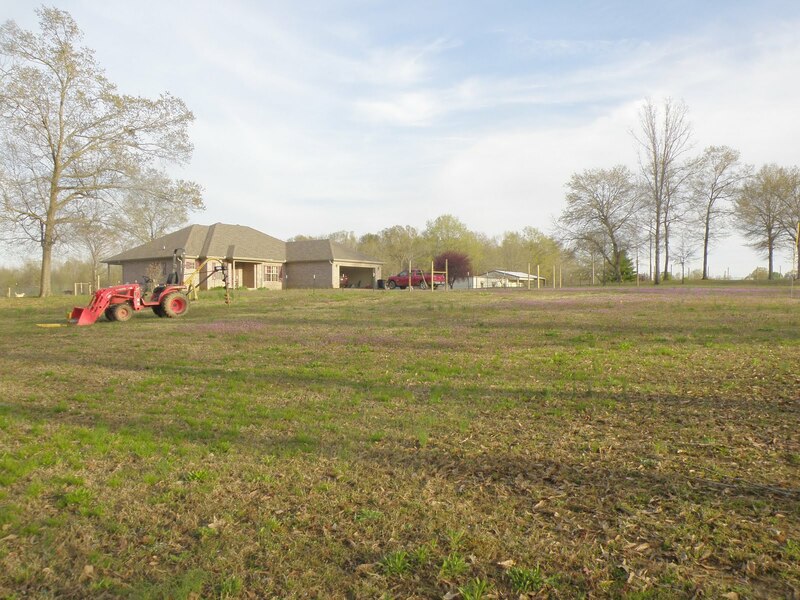 We have a front pasture! 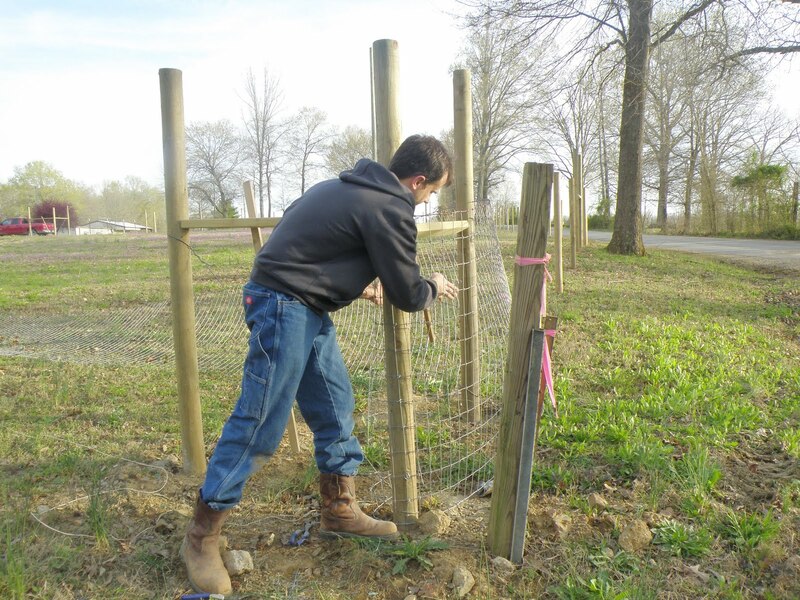 Â Today Bryan finished pulling the 4×4 cattle fencing wire around the perimeter of the front acre or so and put up the gate. Â It’s sort of an “L” shaped pasture that butts up against the dog fence on the side of the house and then continues all the way across the “yard” in front of the house. 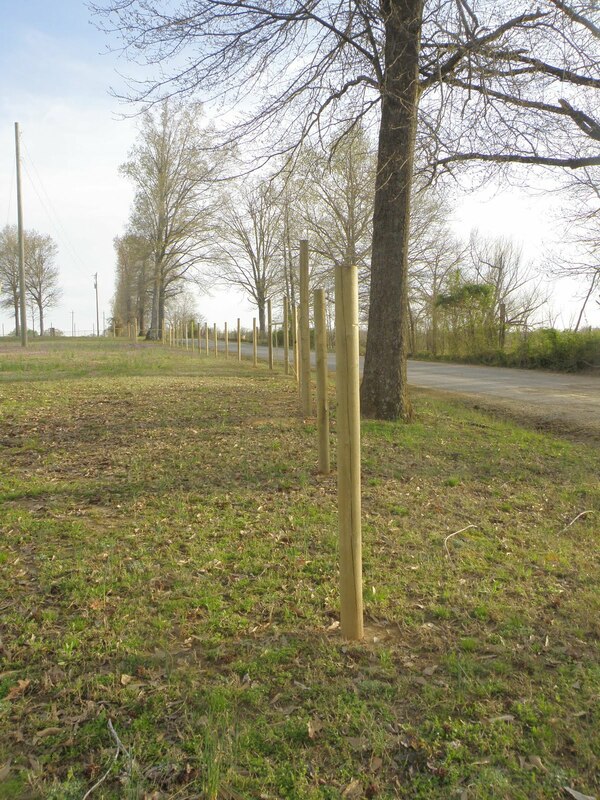 Bryan’s been digging post holes and cementing corner posts and twisting bracing wire and pounding T-posts for what has seemed like forever. 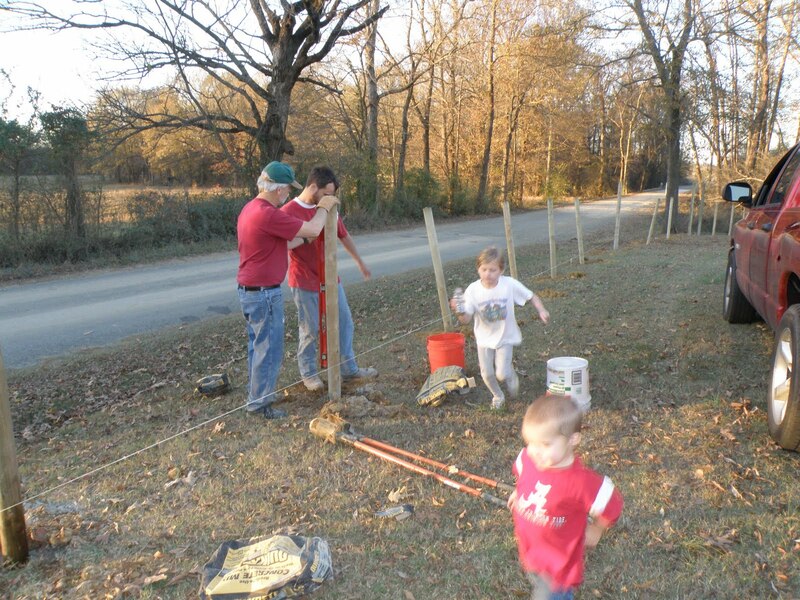 Â I was looking through our “farm photos” and I have pictures of front fence work from back in November! Â We’ve had rain and flooding, snow and hail, and just life with “day jobs” making progress quite slow at times. The kids and I have helped some, but let’s face it, I don’t have the upper body strength for that kind of manual labor. Â He also had help on occassion from Pepa and from Danny (Mema’s husband, sometimes referred to as Paw Dan), but really did the bulk of the work on his own. And now the goats are in their pasture … well, some of them. Â Prada is still shacking up with Candyman — we’ve been trying to breed them for a few weeks now. Â So the two lovebirds have the run of the place in the back with the goat house. Â But Milky and Seth (along with Max) are in the front now. Â ‘Course they seem to be draw to the small stretch of fence that separates them from Brix and Belle. Â Seth seems quite interested in them, though you’d think Milky would know better – seeing as how she was present for Prada’s near death experience. Â I’ve been so excited Â as we worked toward having a pasture for the goats but when we let them free in the front they ran right back to the dogs. So now as I sit here typing I hear constant barking right beside my bedroom window … wonder if this is such a good idea after all? Â Hmmm … maybe I’ll keep that thought to myself. Â Of course, as I’m thinking that Bryan says aloud, “Belle’s never gonna shut up for the rest of her life now,” ending his statement with a huff of finality. Â He’s probably right, but as I pointed out once before … as long as she’s barking it means she’s not chewing.